I am a refugee on the "Wrong Coast" and despair of ever even being able to come home to visit and show my husband all my memories. I miss you all with all my heart and soul and dream almost nightly of walking my hills again. I want a chance to make peace with all those who...hmmmm...how to say this nicely and yet truthfully...all those who tormented me unmercifully, but I'd give all I have right now to be able to walk up to you, say "no hard feelings", shake your hands and sit and talk a spell! I have been married 3 times, (good friends now w/ the first ex, can tolerate the 2nd ex), have 4 wonderful sons, 1 dau-in-law, one soon-to-be dau-in-law and a few really cool ex-girlfriends I miss. (My sons' gf's, that is, not mine! LOL) I have 12 grandchildren, (some step-grandchildren), only a couple close enough to spoil rotten! I have worked in customer service and child care all my adult life, but have recently quit working when I developed severe nerve damage in my legs. Because of my husband's severe handicap, we live in an elderly/handicapped complex that ROCKS! Esp compared to what we moved out of just recently. My husband is a 20 year retired correctional officer who has driven truck, been a farm worker and has been various kinds of private security ever since. He's now disabled and retired fully - we have discovered that we actually CAN live totally together 24/7! It CAN be done, who knew? LOL!! That's about it right now. No great and exciting life to tell, but I'm happy, my kids are happy and they turned out really excellent despite their mixed-up upbringing! Who can ask for more? I've got lots of funny stories of my time at WCA, but it wouldn't mean much to you guys. 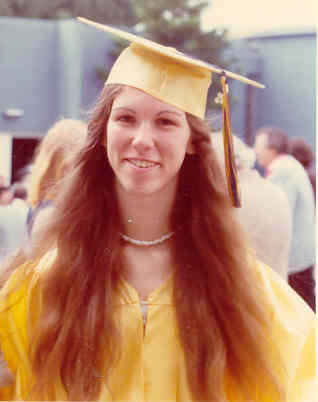 Christine Blackwell Hall has a birthday today. 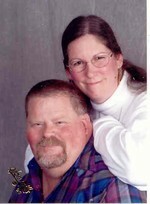 Christine Blackwell Hall updated her profile. View.